The dog sweater? It is done, steeks and all! I finished it last Friday. Pictures coming soon! Meanwhile, here’s a few small items I recently made. Small projects are great distractions! 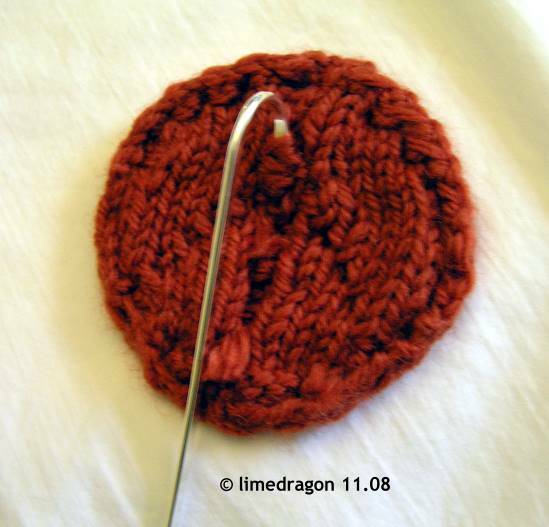 This baby hat is part of the test-knit mentioned earlier. 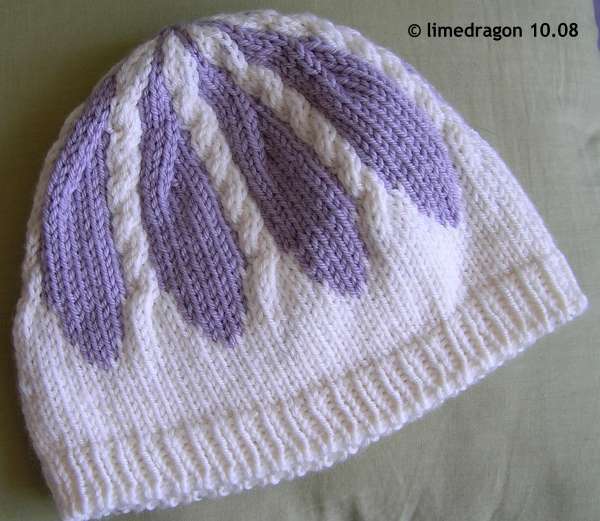 After checking with Polarbears, I used the leftover Cashsoft DK from the Bunny Pullover. I wanted to do this because the yarn is so soft and shouldn’t irritate baby skin, and because I thought the lavender-white combination would be pretty. I had my heart set on lavender being the main color. But, whoops, I didn’t have enough, so had to restart and switch the color scheme around. The result, even if it’s not quite what I wanted, is still rather cute! 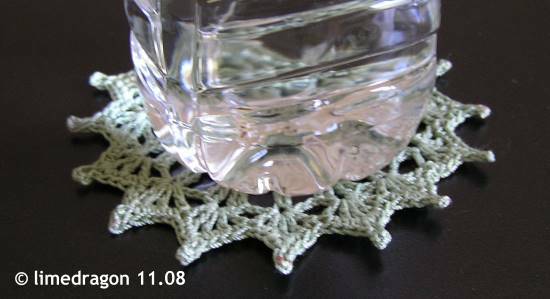 I had a bit of the crochet thread left, so next on the agenda was a quick, little doily. It’s just big enough to use as a coaster. And the last project was pretty fun to make, if a bit fussy. I made a Peace sign and turned it into a bookmark! Two things to note: The peace symbol was rather elongated, nearly oval in shape, when I bound off. A soak and quick block helped make it rounder. 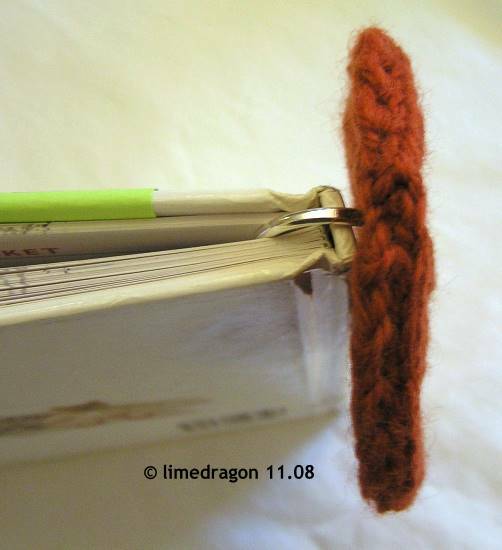 It was also a bit tricky to attach the bookmark. My first couple tries were too flimsy and floppy. 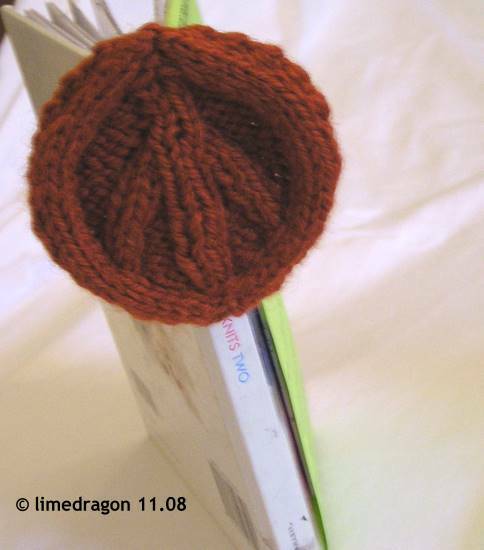 After I decided to align the bookmark with the peace sign’s center, I was able to stabilize the bookmark with a few couched stitches. 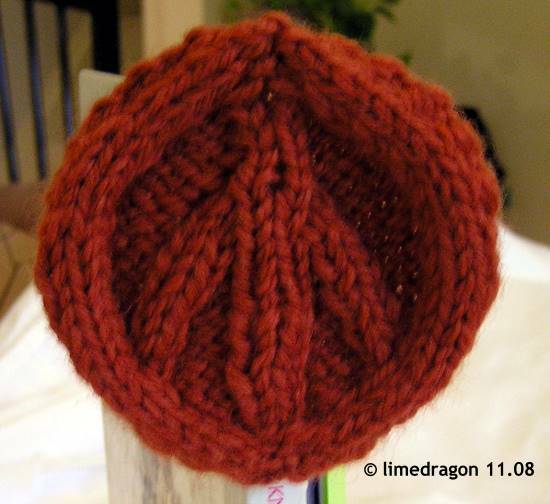 I’m happy with the results, but next time (who knows), I would want to try a sport- or dk-weight yarn for a smaller peace symbol. All are wonderful projects. 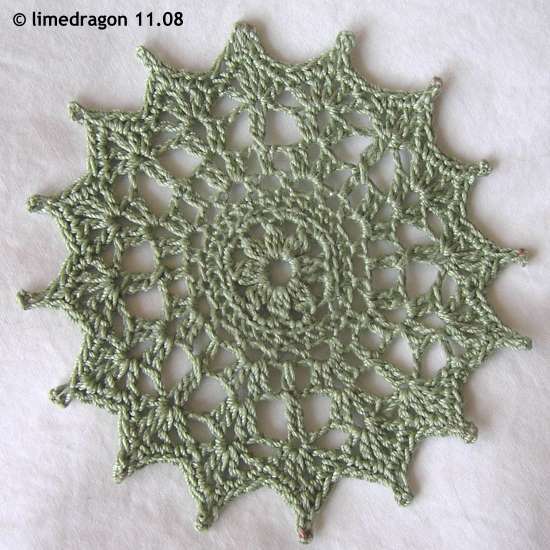 I really like your new doily phase. You’ve gotten me thinking…. What do you use to stiffen them? Small projects are so satisfying! I love the coaster in particularly. The peace sign is very cool! And the hat is adorable.